When you enter a bingo room you yourself find that all players sitting in the table seem so excited about the Bingo game they are playing. Also the players seem relaxed chatting among themselves. It is all because this game requires no skill to play and so no real stress on the mind. Recently a survey of bingo player profiles came up with some surprising results. Not only were a full third of bingo players within the 25 to 34 year old age bracket, but about three quarters of them were women. Of all these players, 47% said that bingo was relaxing for them, while a further 34% said that it provided them with excitement. 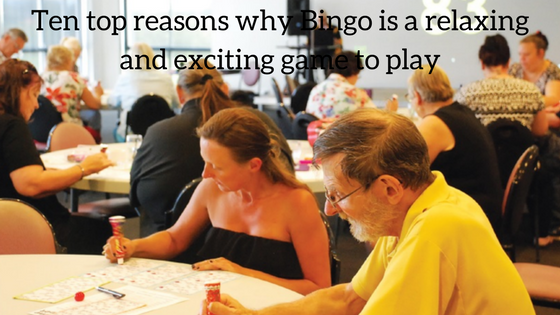 So as Bingo is making such a profound impact on its fans here are the top 10 reasons why Bingo is a relaxing, exciting and fun game to play. In conventional versions of bingo, the idea is to very much ‘go with the flow’. The outcome of bingo is entirely luck-based due to the fact that winning is determined only by whether or not the numbers on your bingo card are called. Some versions of bingo are more active and require player involvement such as the Mexican version of bingo – but that is mostly the exception to the rule. Because bingo in general is a completely luck-based game, playing it involves simply going with the flow and paying attention to the numbers that are being called. It is easy to see why that would be relaxing, especially since little or no additional action is required on your part. At the same time, because bingo is often in a social setting it is a nice way to spend time with others while relaxing too. That can often make it even more comfortable and turn it into an enjoyable social experience that you can share with friends and family. While playing bingo in itself can be relaxing, the anticipation of winning can also be exciting. In particular the excitement tends to most apparent when you’re ‘calling’ i.e. you have one number to go to win, but it is also present when several of your numbers are called in a row. That excitement can be quite high if the prize is big – but even for smaller prizes it is still present too. The fact that you are winning or stand a good chance of winning is often the trigger, which is why many players who look to bingo as a source of excitement tend to like to play with multiple cards. By playing with multiple cards, the odds of your numbers being called are higher. More importantly, it will keep you busy trying to keep track of all the numbers that are being called and mark them down correctly – which can be exciting in its own right too. You will find that on each session held in a bingo club there will be at the very least one big jackpot paying game, and as such with some luck in playing you really could win big! As you can buy as many tickets as you like on each bingo game played it may prove beneficial for you to buy some extra tickets for those big paying bingo games. So the excitement is always there to play and win Big. As there are varied opening times and different sessions played at all bingo clubs and bingo halls in Australia and as such you will find they have morning, afternoon and evening sessions making it your flexibility to play the game the time that suits you the best. So if you ever do find yourself at a loose end you will always find one of your local bingo venues offering you a session. One of the most social aspects of visiting a bingo club anywhere in Australia is that you will find both a restaurant or meals being served and also a bar selling every type of drink imaginable! So if you are ever peckish or fancy a drink then you will have plenty of meals and drinks to choose from, which will be handy if you are playing with friends or family as you can all eat and drink together. Just creating a relaxed and friendly environment. Many bingo clubs and bingo halls will require you to register as a new member if you have never played at those venues before. The registration process is fairly straight forward at all bingo clubs and halls and will simply entail you filling in a membership form. To join simply present yourself to the reception deck and they will then give you the necessary form to fill in, please be aware that you will have to provide some form of identity document to prove your age and once you have filled in that form you will then be presented with a membership card that will allow you to visit the venue whenever you like without having to register again. In fact most bingo halls and clubs may allow you to sign in a guest so if you do fancy playing bingo in such a venue with a friend or family member then you will be able to sign them in instantly. 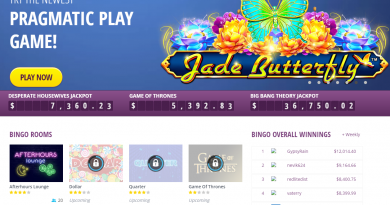 As all bingo clubs and bingo halls are facing some very stiff competition from online bingo sites you will find that all of them tend to offer some very valuable promotional offers in an attempt to get you to visit their respective venues. If you are therefore interested in paying a visit to a bingo club in Australia then it may prove very beneficial for you to contact the bingo club before you plan a visit to see on which days and on which bingo playing session they have any special promotional offers available. In fact one of the best ways to keep track of the special promotional offers offered at such venues is to either sing up to their email list or check on their website, as it is their respective websites that will usually let you know when any special promotions will be available to you. The types of promotional offers can vary from bingo club to bingo club so always be prepared to compare what each of your local bingo venues are offering as you can often find some very generous promotions are available on certain days of the week! So what’s more relaxing and exciting to play and enjoy. With so many Bingo fans collectively playing this exciting games you get to know each other and make new friends. You meet like minded players and get along well with each other at Bingo table, relax, enjoy drinks, gossip and make a comfortable discussion. This form of social interaction as well as help with cognitive function – it definitely does have real life benefits. 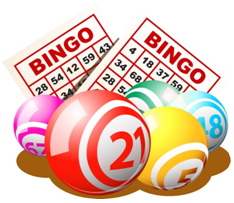 Bingo is offered in numerous ways like 60 ball or 9 Ball Bingo. Also almost all states of Australia offer Bingo game in clubs and Bingo halls. 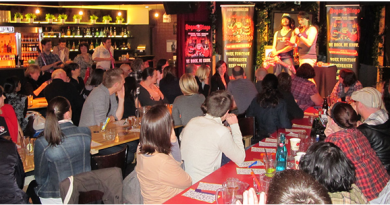 You are never short of Bingo in any case as always there are Bingo games going on somewhere near you which you need to find out. Thus it is not frustrating not to find Bingo. The fact that Bingo is able to provide relaxation or excitement is one of the most profound benefits. Being able to kick back and play your favorite games to reduce your stress levels or take a break from work is nothing to sniff at.